Typically when we get invited to the opening of a fashion brand’s boutique, this involves a trek to the La-La Land of Lauren Conrad: the West Side of Los Angeles. In this valet-parking wasteland, skinny starlets show up to grab their goody bags and be snapped by the paps. Meanwhile, the same, bored-looking celebrity DJ “spins” songs via her preprogrammed laptop and cater-waiters distribute designer cheeseburgers the size of ping pong balls. So, we were intrigued and delighted when Quiksilver announced the launch of its siteLA project at a site in... Silverlake! With a bunch of cool-sounding gals, not a one of them named Samantha Ronson! In proximity to Original Tommy’s! 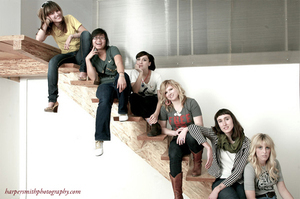 Quiksilver selected six independent, creative young women as “visionaries in residence” for an 1,800 square foot facility it will open on the far East Side, at 2522 Sunset Blvd. near Rampart Blvd. to coincide with the launch of its new women’s collection. This is no “pop-up” boutique, either: Quiksilver has committed to the space for at least a year, and will host free events that it hopes will appeal to budding Diablo Codys and other influentials. The space launches on March 6, and will be open to the public each Wednesday-Saturday from 1 to 6 p.m.
“In the past, Quiksilver has always sponsored athletes,” a rep said. “For this collection, they wanted to team with independent women with a vision.” While the collection is the reason for the collective, the clothing doesn’t even hit the market until July. Over the course of the year, mentors and brand sponsors such as Spin, Gibson and Modernica will help Sarah, Jesse, Pilar, Khrystyne, Dorothy and Beth take their careers to the next level. Along with a musician, an artist and a boutique owner, the brainy bunch includes: an architect, interior designer and humanitarian developing mobile playgrounds, skate parks and urban shelters for inner city youth; an automotive designer creating a concept vehicle that reflects the active, healthy and eco-friendly experience of creative young gals, and a bicycling activist who empowers women to cycle safely around Los Angeles. New Line Cinema is putting a Web 2.0 twist on some old school media for Be Kind Rewind, a film directed by Michel Gondry. 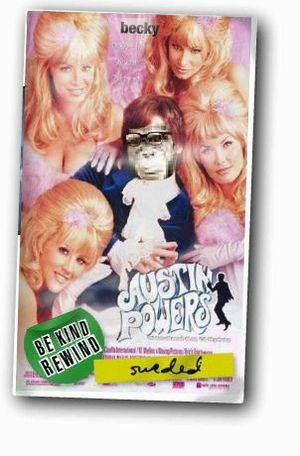 At the Web site, visitors are invited to ape their favorite movie characters--a feature allows them to pick a classic comedy, romance or action film and insert a face into the art a la the recent film-marketing trend (See: the Simpsonizer, the Knocked Up Babymaker). Why? Well, because that's what characters played by Jack Black and Mos Def do in the movie, sort of. This is Michael Gondry, people, so the plot is a wee bit complicated. Basically, it revolves around how the vidiots resort to reenacting a number of films after a local store's tapes become accidentally demagnetized. These bizarre tapes are described to store customers as "having come from Sweden as an excuse for higher rental fees and longer wait times" hence the term "Sweding." Be Kind opens Feb 22. TV viewers are mad as hell, and they’re not going to take it anymore. And in this scenario, "it" equals reruns and reality shows. To allow people to air their grievances with networks for disrupting their previously scheduled programming, ad agency BooneOakley, Charlotte, N.C., created a grassroots campaign for client the Writers Guild. The goal is to create solidarity among scribes, allied actors/crew members and those who like to watch. Last week, picketers were given ribbon-shaped pencil pins for their lapels along with posters and T-shirts spouting pro-WGA slogans such as “You Write a Clever Slogan. I’m On Strike” and “If I Wanted Reality I Wouldn’t Watch Television.” Other designs incorporated popular TV show titles and logos (such as "Lost Without New Episodes") into the text. Fans are invited to play along at home by visiting the BringBackTheDialogue.com Web site. Here, they can while away the entertainment-empty hours by downloading posters and posting snapshots of themselves in front of their blackened plasma screens to show that their shows must go on.